We very much look forward to seeing all of our Beneteau Customers and Friend (and meeting new ones) at the upcoming Strictly Sail Boat Show happening January 27-30 at Navy Pier. 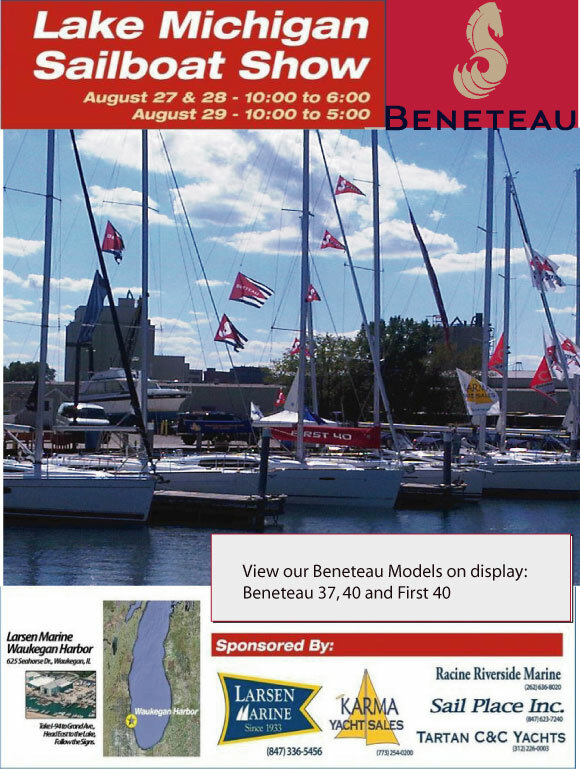 Your Lake Michigan Beneteau Dealer, Karma Yacht Sales will be the hosting dealer for the Benteau display (booth 220) at the 2011 show. 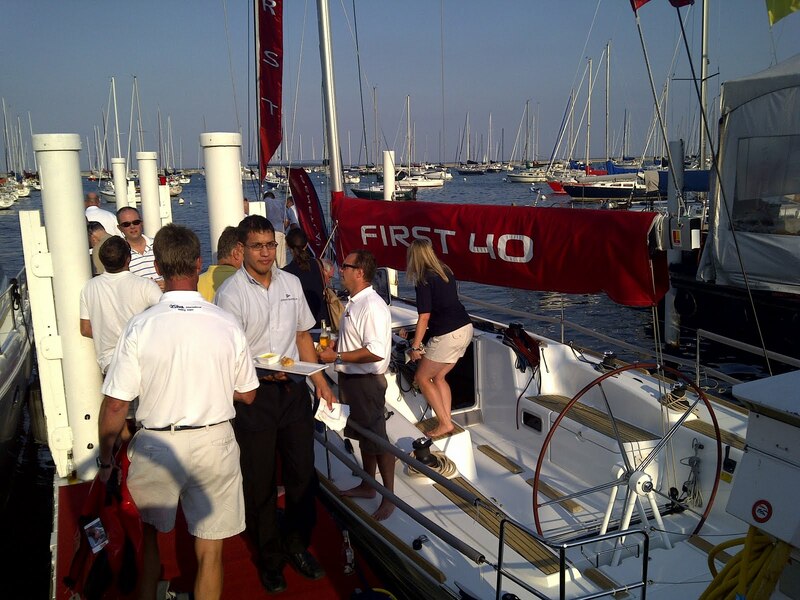 We will have the NEW First 30, Beneteau 37, 40 and 50 on display. Stop in to visit us. For Seminar Schedules and other info visit Strictly Sail. 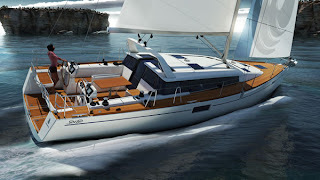 Huge incentives to buy the Beneteau you’ve been dreaming about, just in time for the Holidays! In an unprecedented offer, participating Beneteau USA Dealers are able to provide Sweet Savings on a limited number of brand new Beneteau Oceanis 31’s, 34's and 37’s. On only 15 each of these beautiful American made Floating Dreams, which must be ordered by February 1st, 2011; there is "the deal of a lifetime". 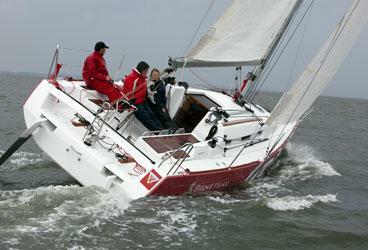 For those that act quickly; you could save from $15,246 to $21,126 on a new Beneteau Oceanis 31, 34 or 37. Go to http://www.beneteauusa.com/ or contact your local dealer and see more information on this first, and perhaps last time ever exceptional offer on the most popular 31, 34 and 37 built in Marion, SC; models which now will be referred to as “Oceanis” worldwide. In celebration of the anticipated worldwide production of over 1000 Beneteau Oceanis 40 & 43's, participating Beneteau USA dealers now have HUGE incentives to help them reach this lofty sales target in the current model year. If these "Boat of the Year" 40 footers have been tempting you, then contact your local dealer (or locate them at http://www.beneteauusa.com/ ) to find out all the details on this Milestone Merriment offer with $23,308 or $26,028 off list. Our most prolific performance cruiser/one design has known mega success in ocean sailing and club racing from Bermuda to Mackinac. There are only three "Good Deal" factory stock hulls of the First 36.7 ready to be shipped from the Beneteau USA factory in Marion, SC. These are offered on a first come basis through our dealer network at a fantastic price. If saving about $31,000 dollars to have a brand new First 36.7 at $119,900 FOB factory with spinnaker gear, base electronics and standard equipment is something you would want to have wrapped for you, contact your local dealer before the snow flies- remember there are only 3 hulls offered at this bargain! 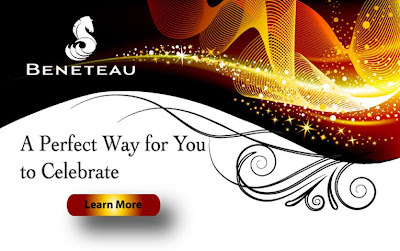 A Great 4.75% Rate for Beneteaus! The recent launch of retail boat financing by SGB Finance North America, Inc, a partnership by Beneteau and CGI, has proved to be remarkably successful for providing very attractive terms. And now, SGB has decided to offer to Beneteau New Boat Purchasers or Existing Beneteau Owners exceptional interest rates. With funding sourced directly through one of the largest banks in the world, SGB is able to offer, on a limited basis to qualified purchasers*, for new Beneteaus or refinancing of existing Beneteaus a stellar rate as low as 4.75% APR fixed for 20 years with a 20% down payment. There are certain stipulations and qualifications required by SGB to take advantage of this offer; and your application must be submitted by December 31st 2010. If you would like to take advantage of this exceptional offer go online at www.sgb-finance.us/apply-for-a-loan-now.asp to download an application form. Fax all of your information to Mr. Dale Bunce at the SGB Finance North America office in Baltimore, MD at (443) 278-8701 by 5 PM EST on 31 December 2010. *Credit decisions are made exclusively by SGB Finance North America, Inc. All loans are subject to lender approval. Applicants may qualify for a higher rate based upon the results of risk analysis, size of loan, length of interest rate lock, and any special features requested in the loan. Minimum 700 credit score to qualify. Certain state and federal restrictions may also apply. Wishing you many reasons to celebrate. 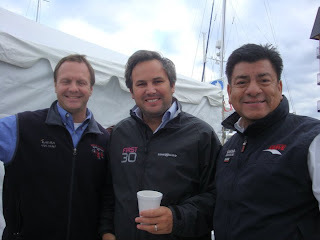 VP of Sales Beneteau USA Inc. So What is this thing called 'The Mac' ? To truly understand what the 'MAC' is all about you have to experience it. It is truly one of those 'bucket list' type of activities. 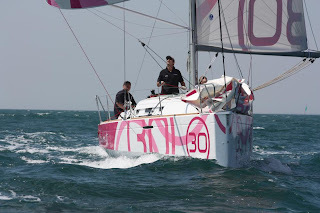 'The Arrival' produced by Fig Media with support from Veuve Cliquot the presenting sponsor of the Race to Mackinac provides the next best thing to being there. 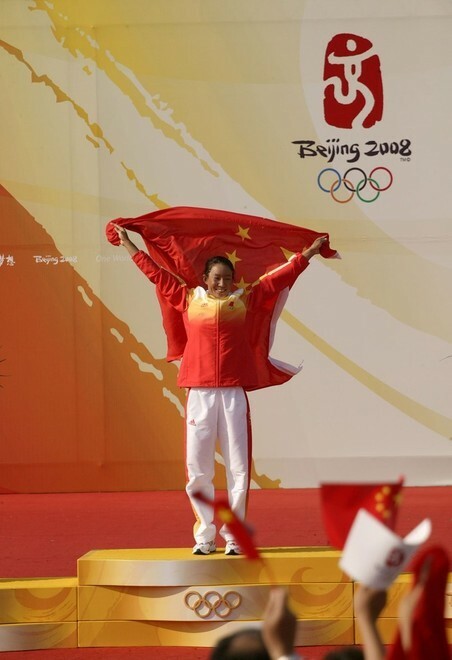 A diverse perspective on the annual race as told by a few of the many organizers and competitors who particpate each year. The Race to Mackinac was born out of gentleman's wager between some boat owners who were members of Chicago Yacht Club. 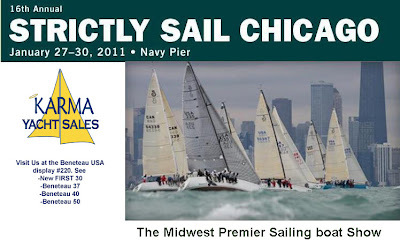 A cruising adventure from Chicago to Mackinac Island, the race has evolved into an annual event that attracts thousands of sailors to Chicago to compete each July. The "MAC" as it is affectionately referred to, gets in your blood- calling you back year after year. No two races are ever the same- each one is its own adventure. The stories that develop on the race are told from year to year and the traditions that develop are shared from sailor to sailor. We welcome you to watch this short video and find out what it is all about. To find out more about the Race to Mackinac or perhaps inquire about doing the race next year, visit http://www.racetomackinac.com/ . Beneteau is proud to announce that two nominations for CRUISING WORLD MAGAZINE'S Boat of the Year Contest were nominated. "This was one of the best sailing boats the judged during the competition." As they approached the First 30 to conduct their dockside evaluation during the boat show, the BOTY judges may have been just a little skeptical of this performance-oriented 30-footer’s cruisability. 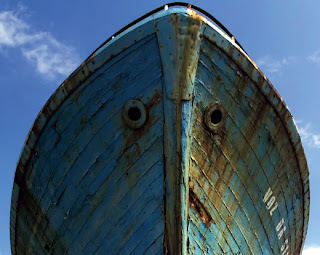 But that skepticism turned into appreciation as soon as they stepped below, and they were downright enamored with how the boat sailed. As a result, the Beneteau First 30 was named the Best Small Cruiser, 30 Feet and Under. It’s not easy to include all the accommodation features that make for comfortable cruising—standing headroom, full-size head and galley, decent nav station, roomy saloon, and good-size sleeping cabins—in a 30-footer that’s also good-looking and whip fast under sail, but the First 30 does just that. The main saloon is bright and airy, and it’s also much more creature-comfort oriented than what you might find on older 30-foot performance cruisers. The cabins have ample bunks and adequate stowage. Nearly 6 feet of headroom in the saloon creates a good sense of space, while the light-colored varnished woodwork and clean lines are downright stylish. Meanwhile, during the test sail, none of the judges wanted to give up the tiller because the boat was just so fun and responsive. The dual rudders provided superior control, even when the heel angle increased in the puffs, and the judges noted how this little thoroughbred sliced to windward at 6.5 knots in 12 knots of breeze. 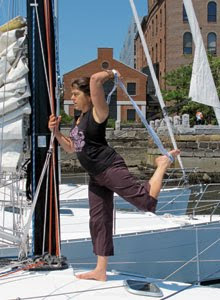 The judges found the cockpit to be comfortable and the sail controls to be well planned and efficient. A tweak here and there was rewarded by another quarter of a knot, though it was just as tempting to contemplate the benefits of simply setting the sheets and then humming along for 20 or 30 miles on a coastal cruise. •The use of space throughout the interior is excellent. •The boat’s torpedo bulb keel, powerful sail plan, and dual rudders make the First both fast and forgiving. •The boat significantly ups the ante regarding what’s currently available in the 30-foot-and-under range. 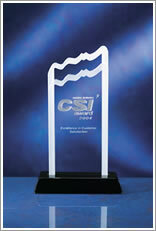 In the " BEST Full Sized Cruiser 50-55 Feet" Category- The Revolutionary SENSE 50. 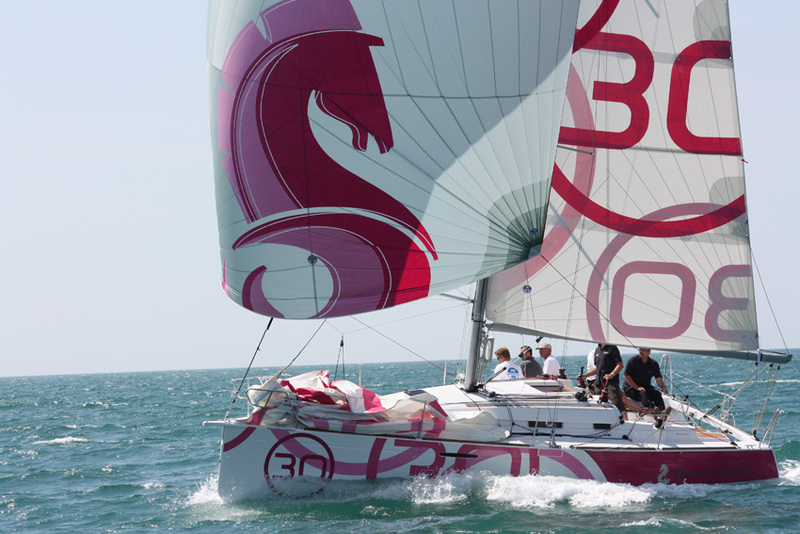 "But when it came time to choose a winner, it was the Beneteau Sense 50 that turned circles around the competition—literally. It’s equipped with Groupe Beneteau’s Dock & Go system—a joystick controls both the bow thruster, the engine throttle, and the rotating saildrive unit—that may just revolutionize close-quarters maneuvering under power. That, along with an innovative cockpit and interior layout that’s unlike any other 50-foot monohull, made for a boat that was chock full of fresh ideas. 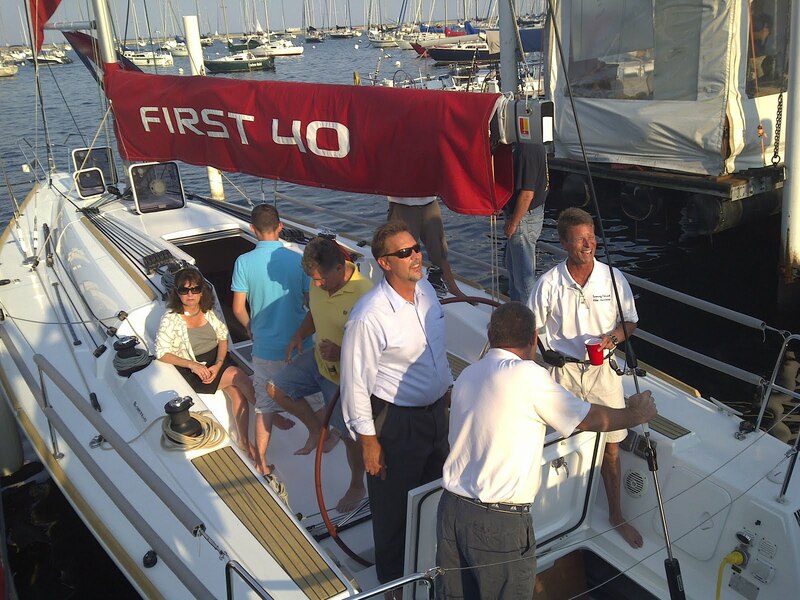 More important, the judges found that the innovations they saw were way more than just gimmicks and it was named the Best Full-Size Cruiser, 50 to 55 Feet." KYS Notes: The accolades continue for both of these boats. The First 30 will make her Chicago Debut at the Strictly Sail Chicago show January 27-30th at Navy Pier. 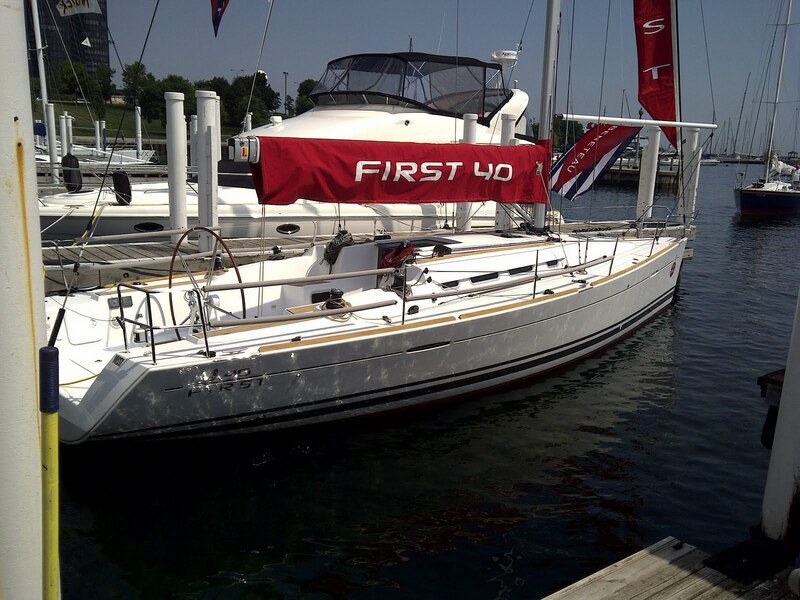 The SENSE 50 will be seen around the Chicago Harbors this Spring as her new owners will be sailing her proudly. For the full press release see below. Middletown, R.I. — Cruising World magazine announced today the winners of its 18th annual Boat of the Year awards. Topping this year’s list of winners for the most anticipated awards in the sailboat industry were the Catalina 355 and the Discovery 50. 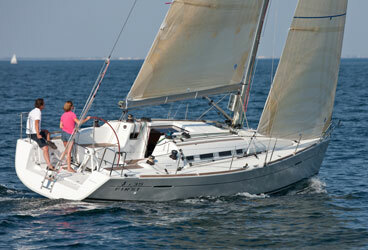 The Catalina 355 won the Domestic Boat of the Year award, and the Discovery 50 was named Import Boat of the Year. Four other boats also won awards from an independent panel of experts, who inspected and tested 19 nominated boats following the U.S. Sailboat Show in Annapolis, Md., earlier this year. 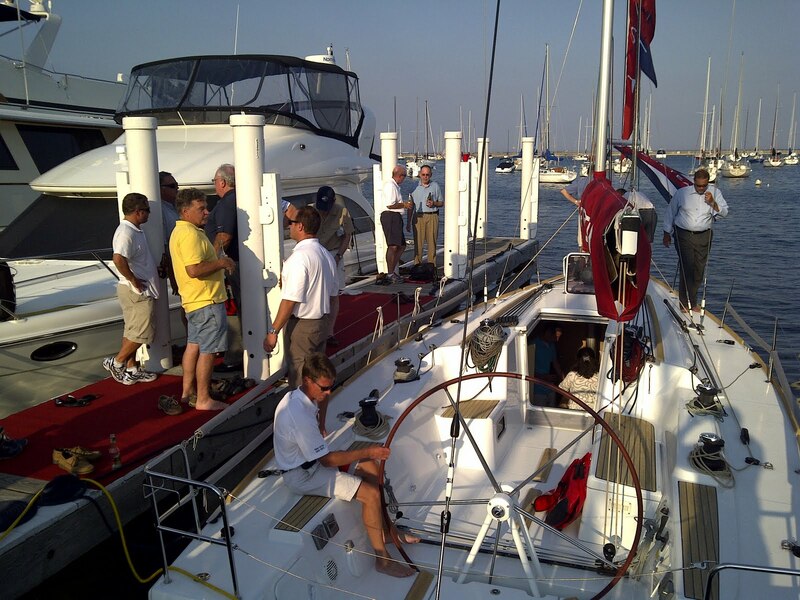 Decisions were based on extensive dockside inspections and sea trials of the boats. All of the winners, along with the rest of the 2011 BOTY nominees and several other boats reviewed by the magazine’s editors, will be featured in the January issue of Cruising World. The Discovery 50 cruising catamaran from England was named Import Boat of the Year as well as Best Catamaran. “The Discovery 50 is well suited to withstand the rigors of offshore passagemaking, and the judges thought it had the best owner’s cabin of all the boats they tested,” said Springer. For more information on the winners and other nominees, visit Cruising World’s website (http://www.cruisingworld.com/). Cruising World, based in Middletown, R.I., is published monthly by Bonnier Corp. As the largest sailing magazine in the world, Cruising World is considered the bible for bluewater sailors. The magazine seeks to nurture cruising sailors’ dreams with practical how-to information and stirring real-life adventure articles. Bonnier Corp. (www.bonnier.com) is one of the largest consumer-publishing groups in America and is the leading media company serving passionate, highly engaged audiences, through 49 special-interest magazines and related multimedia projects and events. Bonnier Corp. is the U.S. division of the Bonnier Group (www.bonnier.com), a 200-year-old family-owned media group based in Sweden with business operations in 25 countries. 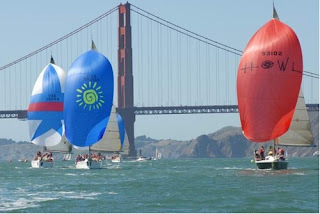 Spend part of your winter day talking sailing and enhancing your nautical knowledge. Parking is available on the directly accross on the SW corner of Halsted/37th St in the Schaller's Pump lot. 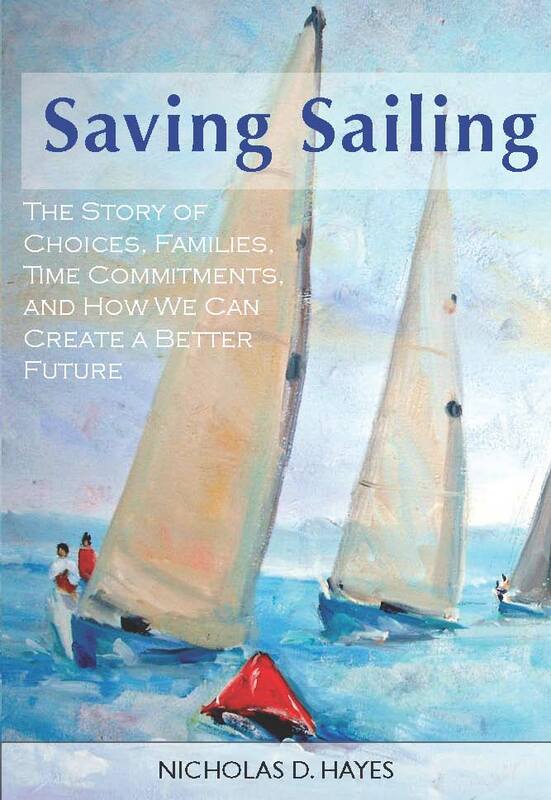 Nicholas Hayes , Author of the Book "Saving Sailing"
*Check back for a confirmed list of speakers after the holidays. 2010 First 36.7 North American Championship- Annapolis, MD: Congratulations to Tried n True- Top Lake Michigan Boat! 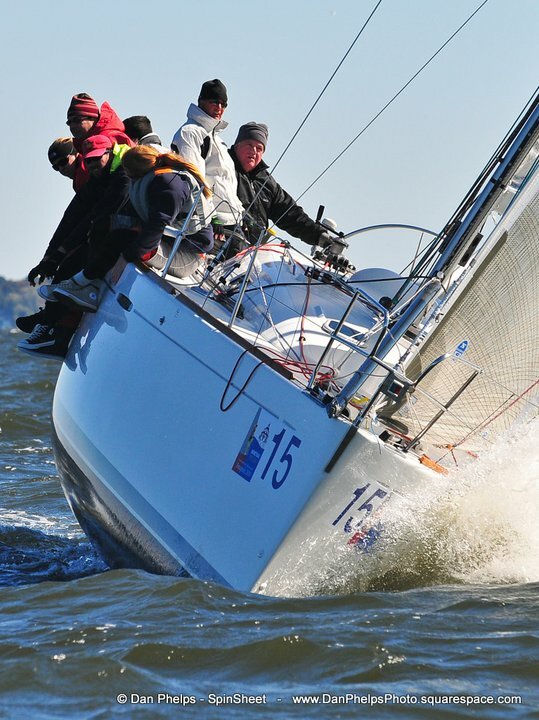 Congratulations to Robert Foley and the Team Tried and True for finishing Third in this past weekend's North American Championship for the First 36.7 fleet held in Chesapeake Bay. 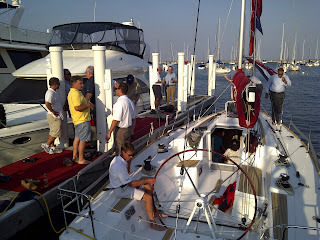 'TnT' was one of two boats representing the Lake Michigan Fleet at the NAC this past weekend. Chris Duhon and team 'Tequila Mockingbird' finished in 5th Overall. The Overall Winner was team "First Today" Skippered by Gary Tisdale from the Youngstown YC in Lake Erie. 2nd Place was 'Grizzly' owned by Chuck Bayer of the Bayview YC. 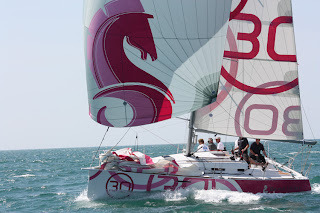 The First 36.7 North American championship is an annual event that is organized in conjuction with the Beneteau First 36.7 North American Class and travels to different locations every year. The 2011 First 36.7 North American Championship will be held in Toronto, CANADA next year. The SENSE range, soon include a 42, has also garnered note as being a truly new concept in yacht design. Unique hull form mated with an amazing combination of on deck and interior livability have already cemented the launch of this series of boats which offer the feeling of living in the open, both in the cockpit and down below. “The public loves the SENSE. And we have already received several orders for it from the target clientele which was to bring new people into sailing. In fact one of the orders received at Annapolis is from a couple who have never owned a boat before! 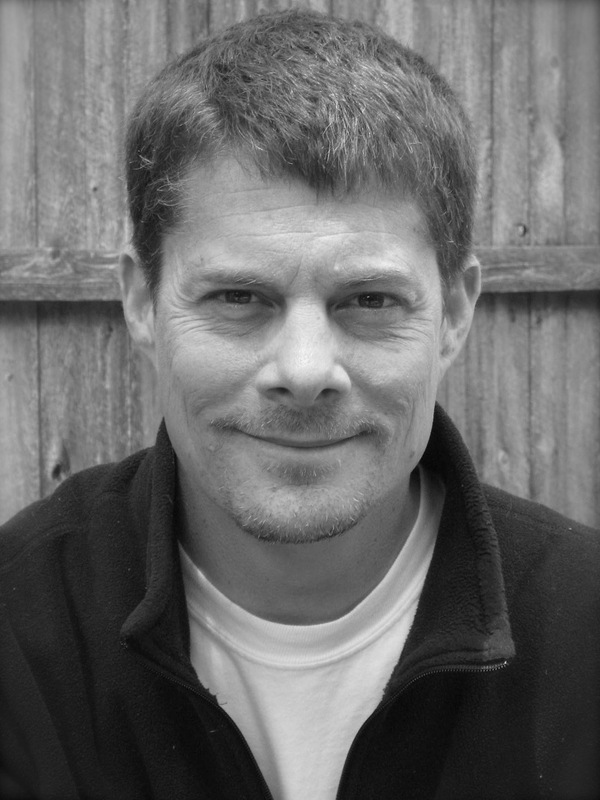 ”, exclaimed Mike Lecholop, Vice President of Sales. Lecholop revealed that with one day left to go, Beneteau USA is about 25% ahead on the value of contracts written last year at the Annapolis sailboat show. 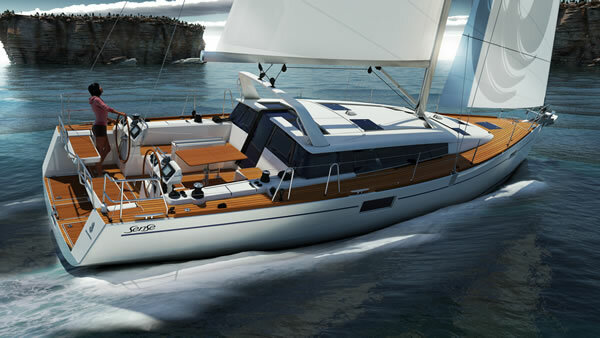 In addition to multiple sales of the SENSE, Beneteau dealers have already enjoyed improved sales on the full range of yachts, whether built in Marion, SC or imported from France. “This is the best show in years. Not only has the weather brought out all the sailing public, but the buyers are here again. I worry that on some models, such as the new Oceanis 50, we may run out of available spring deliveries, if we don’t get the orders in soon. 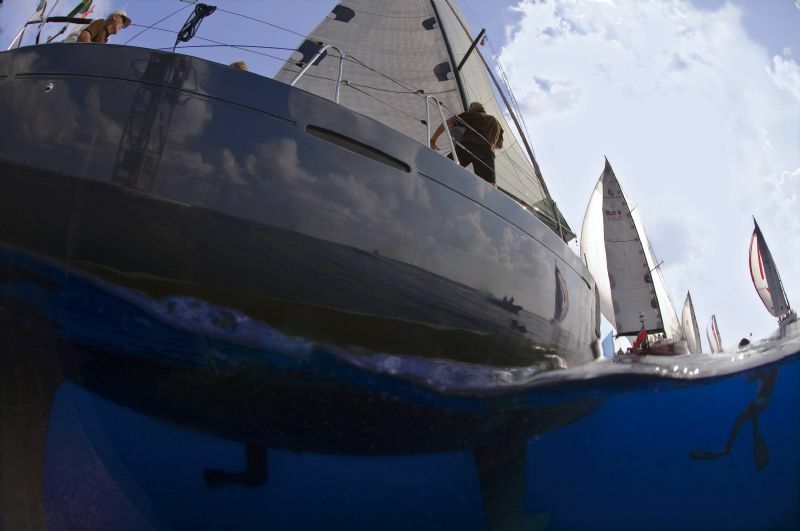 That’s actually a nice problem to have again.” remarked Glen Winter, owner of Winter’s Sailing Center in Riverside, NJ. Beneteau also won two other accolades in the first days of the Annapolis show. Sail America awarded Beneteau the Best in Show trophy for the big boat display category for its unique “island” booth layout which allowed the Dock & Go and new models to be highlighted. Plus Wayne L. Burdick, President of Beneteau USA, received the SAIL magazine SAIL’S INDUSTRY LEADERSHIP AWARD for his decades of involvement in all aspects of sailing, from voluntary service in boating associations to leading the premier American sailboat builder.